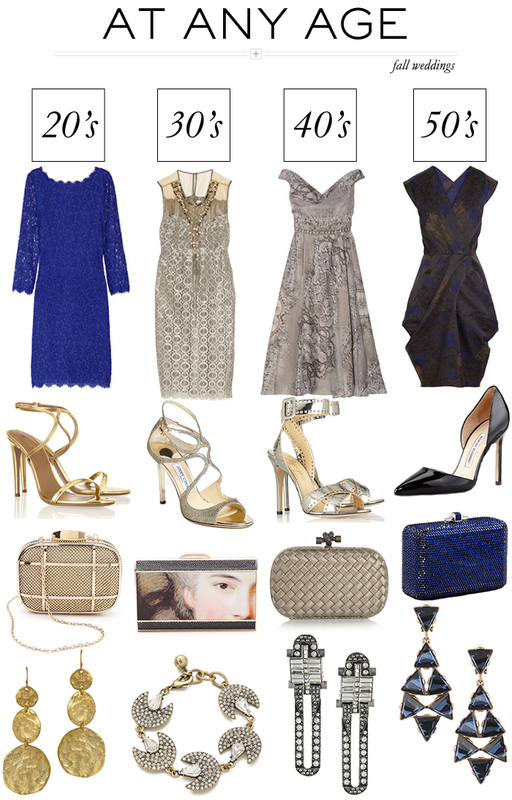 I have four weddings coming up in September and October, so I’ve been on the lookout for dresses and accessories to scoop up for the occasion! I’m sure many of you are in the same boat, so I’ve collected a few favorites for At Any Age. Which look is your favorite? Click through the links below to shop each item! Loving all that jewelry so much! Beautiful outfits, all four. Love all the looks you put together…..great style is ageless!!! You are totally a girl after my own heart.. SO in love with that blue lace dress.. oohh my gosh! blue is my favorite color – it’s a no-brainer! I’d wear any of those no matter my age! I love the retro vibe of your 40’s pick. Lela Rose is so great at designing feminine sheaths for any age point – love everything she does! Really love the 20’s dress! I just saw a similar one at Express (Geometric Lace Dress) for under $50. I love that royal blue dress, it is gorgeous!